Stop letting feelings of inadequacy, and the lack of clarity, strategy, and guidance keep you from starting and pursuing your faith-based business. Visioneer your faith-based business & pursue your God-given vision. Visioneer (v): to engineer a vison. a coaching program designed to help you visioneer your faith-based business. Are you a coach, consultant, ministry leader or blogger wanting to start or grow your faith-based business? Do you have a desire to turn your God-given purpose into profit? The Visioneer Coaching Program is designed for you, especially if you've been letting feelings of inadequacy or the lack of clarity, strategy, and guidance keep you from starting or growing your faith-based business. Nothing is more frustrating than knowing your purpose and having a vision for a business, but not knowing the steps it takes to carry the vision out. Add to that the frustration that comes from information overload, implementing all these tactics from internet marketers and business coaches to find that nothing sticks. You're tired of DIYing your business. You're ready to see your God-given vision manifested and have the confidence, clarity, and strategy to start or grow your faith-based business. and as a life coach and entrepreneur myself, this frustration is close to my heart because I've been exactly where you are. For two years I let inadequacy and the lack of clarity, strategy, and guidance keep me from growing my faith-based business. I knew my purpose and God gave me a vision, but I was so caught up in the big picture that I couldn't take my business from a vision to reality. On top of that I suffered from analysis paralysis from information overload. I was subscribed to every internet marketer's and business coach's newsletter, waiting for the latest free challenge or course to drop, hoping that I would finally find the secret sauce to accelerate my faith-based business. "Write the vision and make it plain on tablets, that he may run who reads it. For the vision is yet for an appointed time; But at the end it will speak, and it will not lie. Though it tarries, wait for it; Because it will surely come, it will not tarry." It was through this Scripture that the Lord showed me that I needed to write and cast my vision, so I could have the clarity to run with it and take action to grow my faith-based business. I did it for my business, and now I help my clients to do the same. The lack of education and business experience has left you feeling inadequate, ill-equipped, and unqualified to do the work that you know God has called you to do. Sometimes you think, "Lord, am I really cut out for this thing called entrepreneurship?" You have this vision that God has given you, but you have no idea where to start, let alone a solid strategy to develop and grow your business. There's no foundation, no strategy, so you're just throwing things at the wall, hoping something will stick. You're at the point where you've been DIYing for so long, that you need guidance from someone who's not only been there and done that but is invested in your God-given business vision. Someone who will get the vision and hold you accountable to making it happen. You're about to learn exactly how to visioneer your God-given business vision so you can finally turn your purpose into profit. Gain the clarity and confidence needed to pursue your faith-based business. In this strategy session I'll help you flesh out the vision for your faith-based business, while you take the first steps, making the most out of what you've already been given. Here we'll ditch comparison to define your own version of success-- God-given success. You'll team up with God as your CEO to engineer your business vision from the inside out. This step is all about embracing the limitless God to choose purpose-driven options. It can be easy to get caught up in overwhelm and information overload. Together we'll explore your options & narrow them down by choosing purpose-driven options. This step is all about creating your custom Business Pinkprint Strategy. Together we'll create a solid strategy that will give you momentum and direction as you pursue your faith-based business. At this stage, you have finally arrived to the finish line! You're celebrating purpose and progress over perfection. There's been a lot of grit and grace that has gone into visioneering this business. This is where you thank God for what he’s accomplished through you and move forward with effectively stewarding the vision He has given you. What are the Visioneer(ers) Saying? 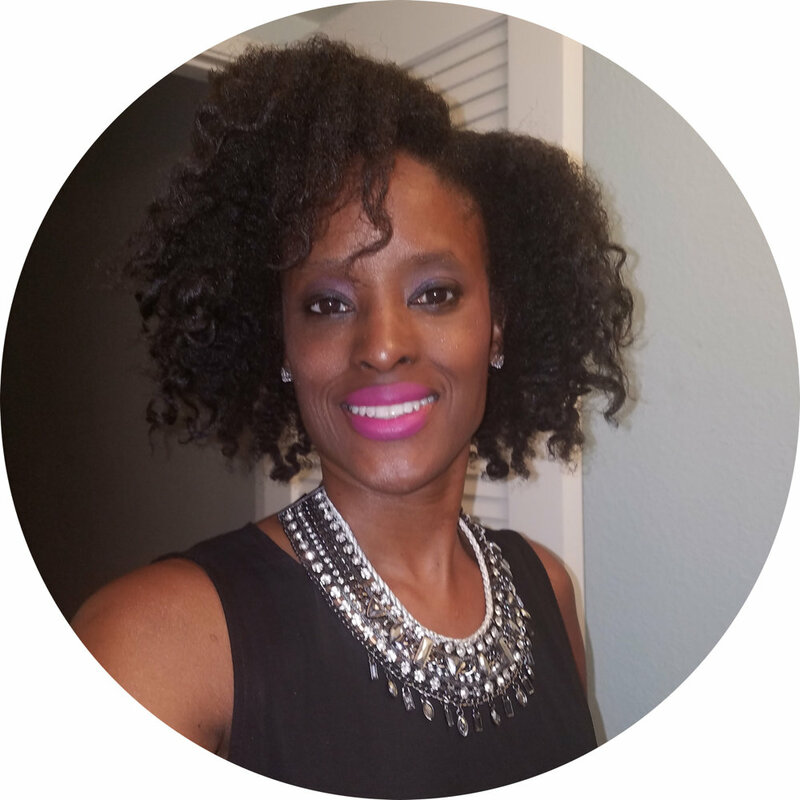 Janelle has a real passion for life coaching and helping woman be the best they can be. She is an amazing life coach and I would highly recommend other women to use services. Janelle was able to help me set goals for my makeup business and learn new ways to manage my schedule. After her coaching sessions I feel that now my makeup business will be better than ever! Janelle is a great coach and I'm proud of her for making her dreams into a reality by using her gifts and passions. Janelle has helped me transform things from a thought to a reality by organizing my life, goal setting, and staying consistent. I appreciate the fact that she uses the Word of God as a platform and guidance for her ministry to help others reach their full potential. Before I began my sessions, I had all these ideas as a multi-passionate woman, but I couldn't figure out how to execute them around my "busy" schedule. After sitting with Janelle monthly and figuring out how to prioritize my focuses, I have made major strides in my goals and ambitions. I loved my 6 months session with Janelle. Her approach is very comforting. When I first connected with Janelle, I was struggling with my self confidence and dealing doubt and insecurities with my capabilities. During our first session I was super excited and appreciated that my coach was a woman of God. It definitely helped and I absolutely loved that we prayed. That definitely let me know I made the right choice. She is extremely patient but will definitely challenge you to work outside your comfort zone to help you reach and accomplish your goals. I love her warm spirit and obedient heart. Schedule time to talk about the possibility of working together to get the support you need in your life and business. Sign up for a complimentary Clarity Session here. Not sure if coaching is for you, but still need the clarity, accountability, and strategy to start or grow your faith-based business? The Visioneer Intensive is perfect for those who still need clarity and strategy but aren't ready to commit to a 3 or 6 month coaching program. In this laser focused 90-minute Intensive, you will walk away with a personalized, short-term strategy with clarity on how to visioneer your faith-based business. You will receive a pre-session assessment, a short-term Business Pinkprint, and a week of email accountability and support. As your coach, I promise you this: I will show up, support you, and be there for you every step of the way. We weren't meant to walk out this life on our own. I'll listen to you, pray for you, and make space for what matters to you most during this season. We'll have deep, meaningful conversations- some filled with powerful breakthrough, and some that are just light and carefree. Everything that we'll do will be according to your pace, but know I'm here to give you that added push you need to accomplish your goals and pursue your purpose. I'm here to remind you of just how capable you are, but most importantly, I'm here to help you become all that God has called you to be and pursue the vision that He's placed on your heart. All I ask is that you give this process 110%. Your results are solely based on what you put in. Over three to six months we can and will accomplish so much together as you visioneer the faith-based business He's entrusted to you.